Judy Meisel was just twelve years old when the Germans invaded her town in Lithuania in 1941, imprisoning her first in a ghetto and later a concentration camp. 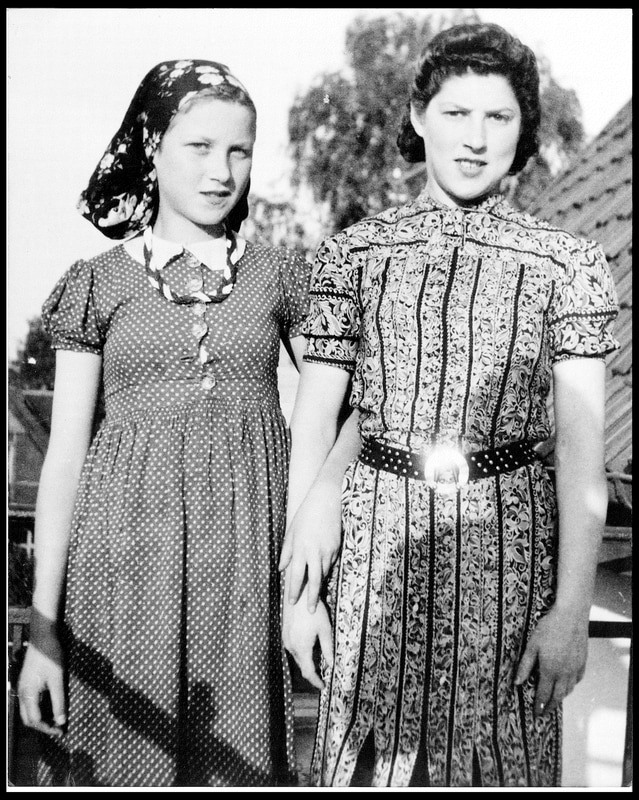 She and her sister Rachel escaped, and through an extraordinary journey that took them across German occupied Europe, they were liberated in Denmark. Judy's story is remarkable and dramatic. Like everyone caught in the crosshairs of the Holocaust, she lost family members and witnessed horrific tragedy. When she ultimately settled in Philadelphia after the war, she became an educator and activist, honoring and remembering those that were not so lucky by ensuring that we can all learn from her story. For more detailed information about Judy's story, visit the timeline. This website is lovingly curated by Judy's grandson, Ben; and could not be possible without input and help from Judy, her son Michael, as well as her entire family, friends and supporters. We started JudyMeisel.com and a Facebook page so people all over the world can learn about Judy and share her messages of tolerance. We are inspired by her courage to survive, to tell her story and to become an activist. The content of this site is updated often as Judy's story remains relevant and important to understanding issue of social justice and human rights today.